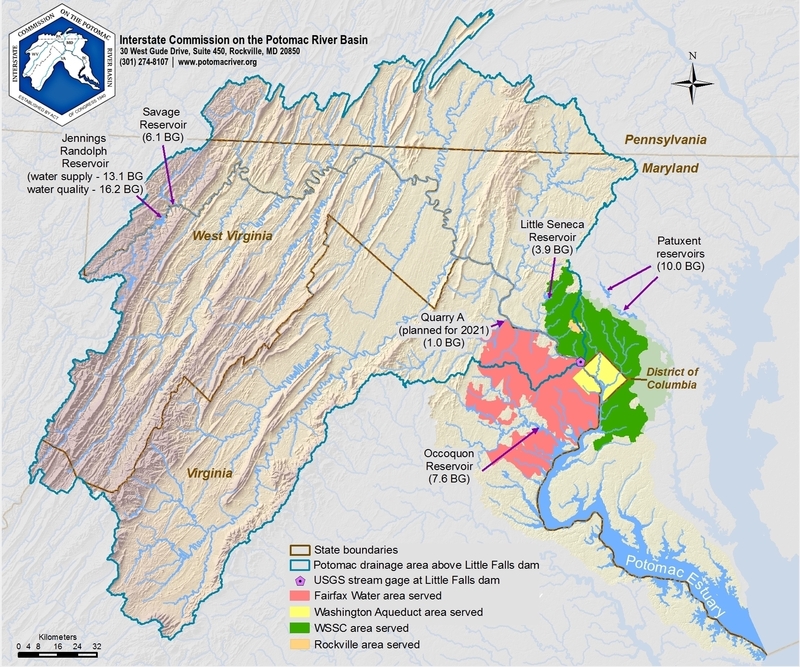 ICPRB’s Section for Cooperative Water Supply Operations on the Potomac (CO-OP) was established in 1979 to serve as a cooperative technical center on water resources in the Potomac basin. The Section consists of ICPRB’s District of Columbia, Maryland, Virginia, West Virginia, and Federal Commissioners. Learn more about the history of cooperative water supply on the Potomac. Find minutes and upcoming dates on the CO-OP Meetings page. The Washington, D.C., metropolitan area relies on the Potomac River to supply approximately three-quarters of the water it uses and benefits from a unique cooperative system of water supply management put in place over thirty years ago. The area’s three main water suppliers, Fairfax Water, Washington Suburban Sanitary Commission (WSSC), and the Washington Aqueduct (a division of the U.S. Army Corps of Engineers) share and jointly fund storage in upstream reservoirs. These suppliers also optimize the use of resources by coordinating their water supply operations during droughts. Washington metropolitan area water supply service areas and resources. Seasonal Water Supply Outlook & Status reports, published at the beginning of every month, April through October. The Potomac Basin precipitation map displays precipitation totals from the previous day, the previous three days, and the previous seven days.